Posted March 20th, 2005 by Ms. Jen & filed under photos + text from the road. Sun. 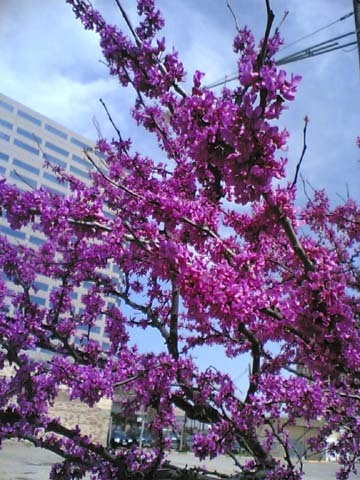 03.20.05 – Spring blooms in Austin. Line of tea trees on 2nd St. between Congress and San Jacinto. Walking back from my last meal at Las Manitas until next year. 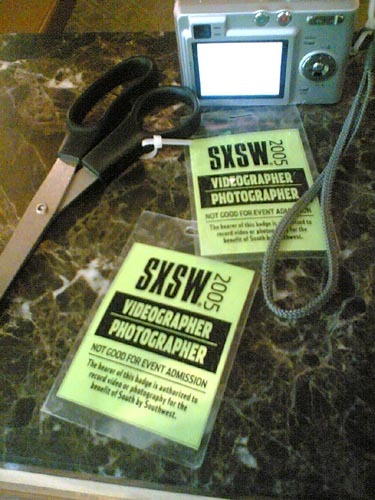 Posted March 19th, 2005 by Ms. Jen & filed under sxsw. Sat 03.19.05 – As soon as I got back to the hotel after the last band I was going to see, I borrowed a pair of scissors and set both of my cameras free. Posted March 19th, 2005 by Ms. Jen & filed under photos + text from the road. 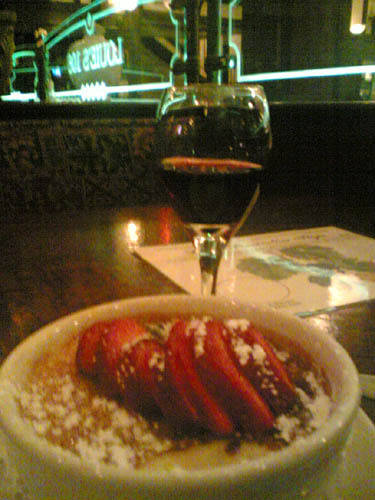 Sat 03.19.05 – Creme Brulee & Pinot Noir at Louie 106. Posted March 18th, 2005 by Ms. Jen & filed under photos + text from the road. 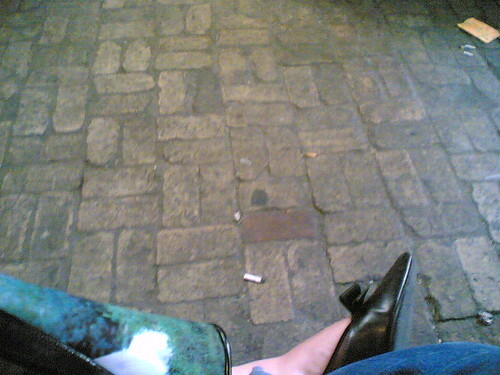 Fri 03.18.05 – My dogs are barking… How women wear heels all day and/or night is beyond me. SXSW Day 7 – Let the Beauty Begin! Posted March 17th, 2005 by Ms. Jen & filed under photos + text from the road. 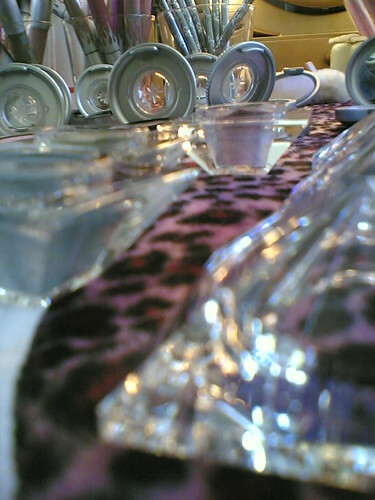 Thurs 03.17.05 – Heidi’s Beauty Party. Posted March 16th, 2005 by Ms. Jen & filed under tech + web dev. Wed 03.16.05 – A Type Conversation. 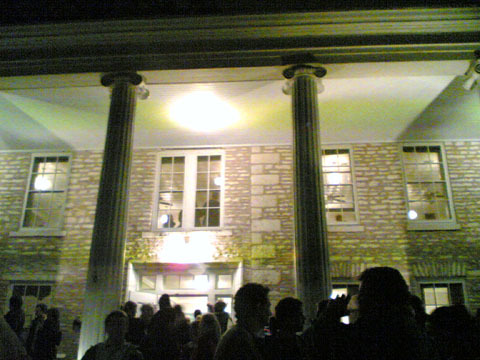 Tues 03.15.05 – The last night of SXSW Interactive. Bruce Sterling and Wired’s party at the American Legion Hall, west of MoPac off of Lake Austin Blvd. A Photo Essay by Ms. Jen.